More power for your 12-inch MacBook and iPad Pro. 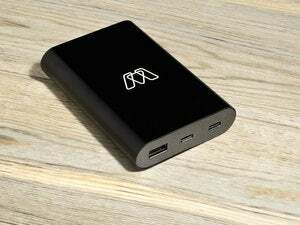 A portable USB battery pack can make the difference between a productive day and a wasted one. 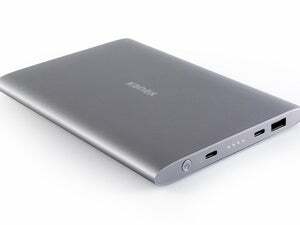 But thankfully, there’s now a nice selection of lightweight, high-capacity portable battery packs that sport a USB-C port, letting you charge your USB-C equipped laptop or mobile device. Apple was an early adopter of USB-C with the first-generation 12-inch MacBook, and the rest of the marketplace has come roaring into force. You can easily find Android phones and tablets with USB-C ports, and several PC laptops—including models of the Dell XPS—use USB-C as well. iPhone and iPad Pro users, meanwhile, can resort to using a USB-C to Lightning cable. In this roundup, we gathered several USB-C battery packs, put them through a series of tests with a MacBook, and reviewed and rated each one. You’ll find our top picks below if you need to make a buying decision right away. Click on the product links in the summary boxes to read the full reviews, and be sure to read on to learn how we tested and to get our impressions of the market. The Anker PowerCore+ 20100 ($80 on Amazon) is our overall winner, with a great combination of performance, design, and features. 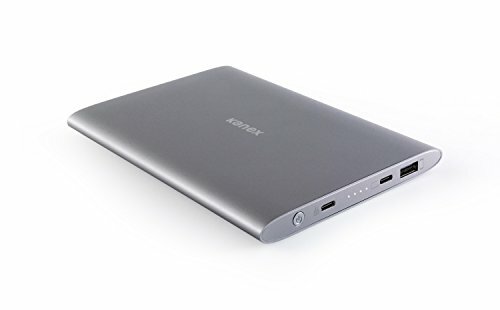 Besides a USB-C port, the PowerCore+ 20100 has two USB-A ports. You can plug in three devices at once, though you’ll encounter limits to the amount of charge each connected device gets. The PowerCore+ 20100’s LEDs provide the most granular battery status among the battery packs we tested. It uses a slow-cycling animation while the battery charges, leaving LEDs lit to indicate the currently-filled percentage. 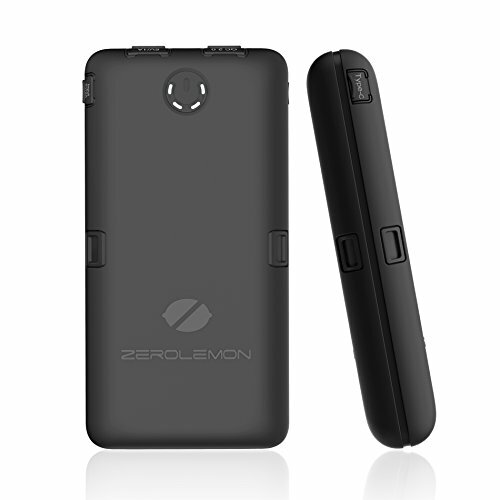 If all you care about is having the most juice available in a portable battery pack, consider the ZeroLemon ToughJuice ($90 on Amazon). It holds a whopping 30,000mAh of power. That’s enough to recharge a 12-inch MacBook’s battery completely with plenty of charge to spare. However, the ToughJuice is not fast. It took five hours to completely charge the MacBook, compared to four hours by the Anker PowerCore+ 20100. The ToughJuice also recharges itself very slowly. The ToughJuice's USB-C output port tops out a 5V at 2.5A (12.5W), far below the 15W offered by most of the batteries tested. Three of the four USB-A ports on the ToughJuice feed out 5V at 1A (5W), and the fourth offers Qualcomm Quick Charge 2.0 from 5V at 2.4A (12W) to 12V at 1.35A (16.2W). While the ToughJuice is massive, it’s still portable, but check with your airline’s carry-on allowances before traveling with it. An airline may allow you to carry on a battery like the ToughJuice, but it’s possible you’ll need to take the battery out for examination and show the watt-hour number. At first glance, you might think the sleek, slim, aluminum-encased GoPower USB-C ($99.95 MSRP, $93.25 on Amazon) was made by Apple, but it’s not. It’s made by Kanex. The GoPower has a rounded design of finished aluminum with minimal labels. It’s much flatter than any of its competing USB-C equipped packs because the maker uses lithium-ion that can be shaped, rather than relying on cylindrical battery cells. 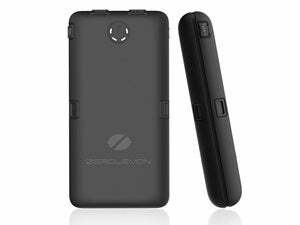 The 15,000mAh (56Wh) GoPower also performs as well as packs that use cylindrical battery cells. The GoPower achieves nearly the same result with 15,000mAh as the top-rated Anker PowerCore+ with 21,000mAh: it charged a MacBook and had enough charge left over to recharge a 9.7-inch iPad Pro from 60 percent to 67 percent. One issue with the GoPower is that its LEDs are not well calibrated. The number of lit LEDs did not seem to correspond to the amount of power left in the GoPower when charging a MacBook. At about $100, the GoPower is more expensive than our top two choices, though Kanex does include two USB-C cables. When you combine high-capacity battery packs with the high-efficiency and relatively large battery of the 12-inch MacBook, you're looking at literally weeks of testing. But test we did—and here's our regimen. Charge each battery pack completely. Use a USB load generator to discharge each pack until it stops providing power. A USB load generator is a testing device that can draw power through a USB port. It's not a "real-world" device like a laptop, but it can provide some insight on a battery pack's performance. For this portion of our regimen, we connect the load generator to the battery pack port that allows for the highest amperage. By discharging a battery to its reported empty state, we ensure that the maximum possible current that a manufacturer lists for a port (either 2A or 2.4A) works consistently without causing a battery to shutdown or experience other problems. But using the USB load generator on the battery packs has one major problem: The load generator doesn’t provide a USB handshake that tells the pack that a device is still active on the port. This can cause the pack to stop discharging after minutes or hours. It's also possible that this may be a newer feature in battery pack circuitry to prevent overload or accidental power leakage. Recharge each pack completely and time the process with either a USB-based gauge or a timer. It’s good to know how long it will take to replenish a battery pack, especially if you’re traveling. The higher-capacity units really store a huge amount of juice, and as a result, can take a really long time to recharge. What's more, you can’t charge a pack and simultaneously use it to recharge an attached device. For packs that recharge using USB-A, I use a USB gauge from Portapow that lets me measure voltage and current, and track the time for the entire charging process. I can then measure the amount of charge in total milliamp hours (mAh) at 5V (or 12V if a device supports Quick Charge 2.0). When it came to packs that can recharge via USB-C, there is a testing issue: there are yet no USB-C-based power meters that are affordable outside of high-end testing labs. When it came to these packs, I did some recharge testing with a timer. Use the battery pack to charge a depleted 12-inch MacBook. This test lets us see how a USB-C battery pack performs in real-world conditions. In a nutshell, we take a fully charged battery back, and a fully depleted MacBook, and time how long it takes charging process takes. This test is complete when the battery pack itself stops providing a charge, or the MacBook’s battery is full. USB-C cables can be designed around a number of parameters, and many early cables that are supposed to carry up to 15W or higher amounts of power don’t. Many of the USB-C battery packs I tested are rated at 3A for USB-C (which is 3A times 5V for 15W), so most power and data cables with two USB-C jacks should work. To eliminate a variable and to make sure the cable wasn’t a weak link with the first round of battery tests earlier this year, I relied on Apple’s cable that works with its 29W AC adapter. The one testing exception was with the Talentcell 10400mAh 38Wh Portable Charger, where I used its included male-to-male USB-C cable, since that’s the intended purpose and a buyer would be likely to use it as well.